This article was contributed to our blog by Clayton Johnson from the HOTH. This is an awesome plugin that will help you get more social traffic to your site. With Social Locker, you can “lock up” content on your site, and the user has to share the post via social media to access it. This gives your readers an extra incentive to share your blog post! Write an awesome blog post. Make some sort of upgrade to that post that the user can download as an additional PDF, or bonus of some sort. Put that bonus inside of the social locker. The plugin will ask users to share the post in order to get the content. In our own experience at The HOTH, the Social Locker has literally got us 10-100X more shares than a post without it. It’s an incredible tool! Keyword finder is a great keyword research tool to help you find hidden keywords to include in your articles. When you include high traffic keywords, you can get more search engine traffic. Put in a keyword to start getting ideas from. KWfinder will give you a list of related keywords and long tails – you can see the monthly search volume and competition. Include these keywords in your title tags, descriptions and throughout your article. Your website will begin to rank in Google for these long tail keywords, and you’ll get more traffic to your site! Running a giveaway / competition is a great way to get more eyeballs on your website. Gleam Competitions is a plugin you can use to organize one of these, but on steroids. It not only organizes the giveaway, but also encourages participants to share it on their own social media to make your competition go viral! On the thank you page for the contest, users are told they will get extra “entries” to the content by sharing – you can configure this however you want. Their friends and followers come back to your site and enter their email address too! This is an awesome way to help make your giveaway go viral, all while collecting more emails! Optimizing your websites for search engines is a great way to get more traffic. With the Yoast SEO Plugin, you can take control over all the elements of your on-page SEO. After Google picks up the changes, you will start getting more traffic because you’re using terms that people are searching for! After you optimize your site, you need to get links back to your site in order to rank in search engines. The HOTH will help you create links & authority back to your website so you can rank higher and get more traffic from SEO. Have a talk with one of our SEO Strategists to get a customized plan. The HOTH will build links for you. 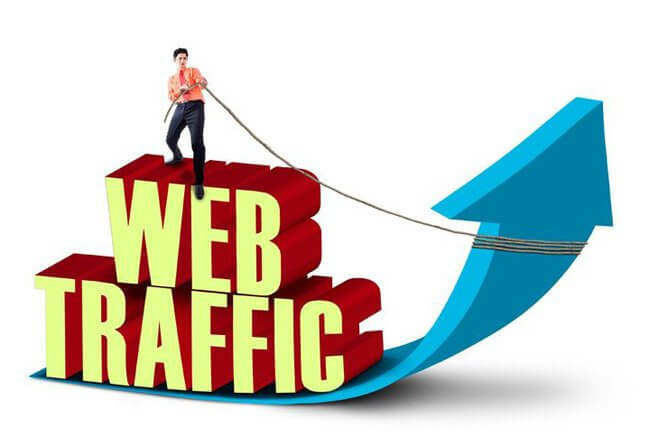 Your search engine rankings will increase and you will get more traffic to your site. These are some of the best tools you can use to drive traffic back to your site. We all know that traffic is worthless though if your site doesn’t convert, which is why you should also add live chat to your site with HelpOnClick! Do you have any other great tools to help you get traffic? Let us know in the comments!